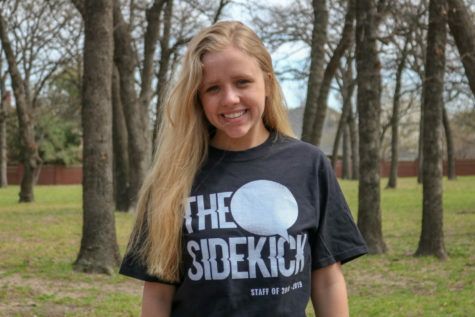 The Sidekick staff writer Charlotte Vanyo was diagnosed with ADHD at age 12 and has dealt with the struggles and symptoms for her entire life. 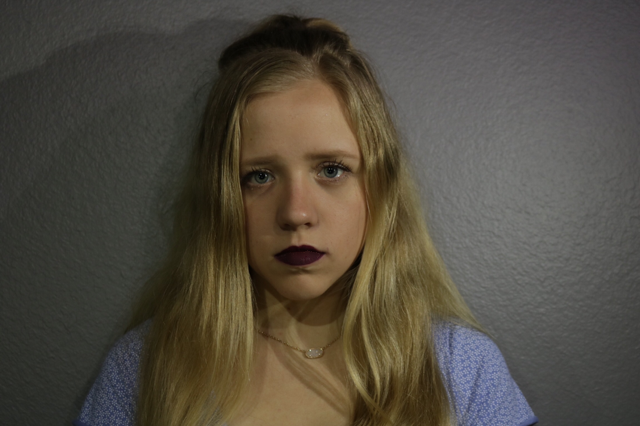 ADHD is a big part of her everyday life and effects how she feels. My diagnosis was like a business transaction: I was in the door with symptoms and out the door with a prescription, no idea what to expect, how to cope or a clue about what having ADHD really meant. I just continued on with my life, not knowing what ADHD was and, like most people, not really caring. I am not good at addressing my struggles to begin with, but the complete disregard for the impediments of ADHD made it much easier to pretend all it did was keep me from concentrating. I am now a junior in high school, and I just found out what having ADHD really means. As I learned about the illness I have been living with for years, I was shocked to find that deficiencies I had always thought were simply a product of my own inability to act like everyone else were actually symptoms of my ADHD. According to ADDitude Mag. 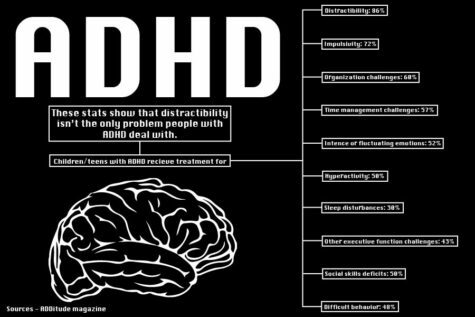 ADHD is a medical condition that causes those inflicted to struggle with the ability to sit still, awareness of consequences, maintaining concentration, motivation, disorganization, forgetfulness, frequent talking and hyperfocus. I suddenly recognized my ADHD even more in my day to day life. I saw it in the way I procrastinate simple tasks because they just seem so overwhelming. I saw it in how I avoid doing my laundry for weeks until I force myself to wear clothes I don’t want to wear because I have nothing else clean. I saw it in how I can never seem to remember to put my towels away after I take a shower, in how when I try to fall asleep I can never seem to get my brain to stop buzzing. ADHD makes simple tasks challenging: not only to initiate, but to actually finish. Once I get myself to actually sort my laundry, I will frequently resurface from thoughts I have no memory of, to discover that a considerable amount of time has passed, and see that the organized piles of lights and darks have been mixed up as I sorted blindly in my dreamlike state. ADHD is one of the most misunderstood mental illnesses, and the most frequently dismissed. 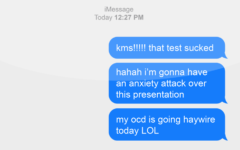 I have to deal with constant comments ranging from “I probably have ADHD too, I can never pay attention in class” to “that is not even a real disadvantage.” People constantly misuse the vocabulary of mental illness and belittle the severity of what having a mental illness is actually like. Without medication, the symptoms of my ADHD can make it impossible for me to function on a level anywhere close to that of my peers. For about two months last spring, I spent several hours every day after school studying for the AP World History exam. The day of the exam I made one mistake that resulted in a failing score – I forgot to take Concerta, my medication that allows me to actually focus on my work. Attention deficit hyperactivity disorder (ADHD) is a mental illness misunderstood by many people. The disorder causes distractibility, impulsivity and hyperactivity, among other challenges. Graphic by Jacob Nelson. I am a pretty outgoing person. I like to talk, and I smile and laugh a lot. I am an optimistic and bubbly person who finds the best in everything around me. I find joy in simple things: stuffed animals and strangers smiles, the excitement people have when they talk about what they are passionate about, getting spicy ketchup for Christmas because every purchase is a present in the month of December. Some people that know me may be questioning this description of who I am. These people know me as a quiet, sad-looking girl. They know who I am when I have taken my Concerta, when I am not truly myself. Concerta drains me of my joy. It steals my passion, my curiosity, my loving and friendly nature. I do not like the person I am when on ADHD medicine. I wish to remain ever the optimist, but Concerta has other plans for me. Apart from drawing those with ADHD into a dark place emotionally speaking, the medication decreases the appetite of most users. I am no exception in this case. At the beginning of each school year when I start taking my medicine again, I quickly drop a large amount of weight from not eating enough food. All school year I skip breakfast and lunch – the mere thought of food during the day makes me feel sick to my stomach – but it is the worst at the beginning of the year. Last year I dropped over eight pounds in one week. 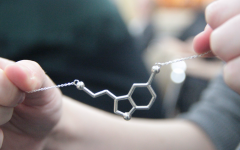 The effects the medication has on those who take it paired with the struggle of living with ADHD make those diagnosed more susceptible to depression. Depression is nearly three times more prevalent among people with ADHD because of the stress the illness can put on you. On top of this, having depression is not entirely uncommon in my family. Needless to say, my fate has long since been sealed. I was diagnosed with depression last August. When I found out I was not surprised in the least. I had actually thought I might have depression for a while. I had taken a few online diagnosis test that had all labeled me as “severely depressed,” but I did not tell anyone about them because I was worried I would not be taken seriously. I am not good at talking about my feelings. In fact, I avoid getting into my feelings to such an extent that a lot of the time I am not even sure what I am feeling because I have not even allowed myself to take the time to sort through or acknowledge my emotions. I like to keep up a facade of a perfect life, of happiness and laughter and love. When bad things happen to me or when people are mean to me I usually keep my hurt feelings to myself because I do not like to share my struggles even with those I am closest to. I am not saying my life is not filled with happiness and laughter and love, it definitely is. I have a wonderful, supportive family and the most caring and loving friends I could ever ask for. But no one’s life is perfect, and I should not try to pretend mine is. No one should expect my life to be perfect. Getting diagnosed with depression honestly was not that upsetting. Some people asked me if I was shocked or upset, but why should I be upset for simply finding out what is wrong with me and, more importantly, how to get help? When I need to let off steam about things I am struggling with I turn to humor. 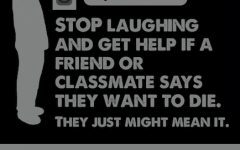 I find that it is much easier for me to talk about how I am feeling if I pretend it is just a joke. When my older sister, former Sidekick editor-in-chief Amelia Vanyo, returned from college in Maryland over Christmas break, there was one night when I came in her room, sat down and told her how I felt without ever using humor as a crutch. It was a weird thing for me to experience because I do not usually talk to anyone about my feelings. She told me later that was the moment it became real to her, that if I was having such a hard time I was talking about it without making any jokes, I must be really struggling. Mental illness needs to be talked about so those who are struggling can understand what they are going through is not their fault, and so they can get the help and acknowledgement they deserve. Despite not being someone to speak out about my emotions, I have stepped out of my comfort zone to share my story in the hopes it will educate someone or help someone grow confident in who they are and understand how their mental illness affects them while also knowing they are not their mental illness. This is such a good article!! This was truly an amazing story that took a lot of bravery to write. Thank you Nico! It was a lot of work. Thank you Ms. Fisher. I’m so lucky to have a platform like The Sidekick to share my experiences on and be able to help others. Thank you brave Charlotte for sharing your story!! You are AN AMAZING YOUNG WOMAN! Well written! Thank you so much Ms. O’Shea! Charlotte, I admire your honesty. It is well written and tells every detail of your struggle. Your writing is passionate and heartfelt and will help peers and parents. Please continue to pursue writing. You have an amazing gift! Thank you so much! I love that I can use my experience to help others. Loved this! So honest and so important for people to see! I also LOVE the graphics! Great job! You are not alone Charlotte! Thank you for sharing your story. This is your best story yet and almost made me cry as I was editing it. Love you Charlotte! Aw Pramika I’m so glad that you liked it. Love you too! We’re two high school students from Atlanta, GA and we were looking at The Sidekick for part of our own journalism class. This article, in particular, was just so good, and we just wanted to let you know how much it moved us. That is so cool! I’m so glad you liked it. I put a lot of work into this article and it feels so good to hear that it has impacted people. Thank you for reading it. Thank you so much for shining a light on something that so many people have misconceptions about despite its deep affect on you and so many people in our community/around the world. So proud of you for using your talents to inform others, BEAUTIFULLY written! Thank you Carrie! I really appreciate the support. Thank you so very much for writing this, it felt great to know that I’m not alone in my own battle. I myself was diagnosed with ADHD last year and sometimes it feels like I’m the only one. I loved how you went over pretty much everything that covers ADHD and I can tell you worked really hard on this. Thanks again Charlotte! Thanks Macy! I’m glad I could help you. Thanks Samantha! I’m so glad you liked my story and that I could help you. Great article, Charlotte.! Thank you for sharing something so important. I liked the photo too, of course.